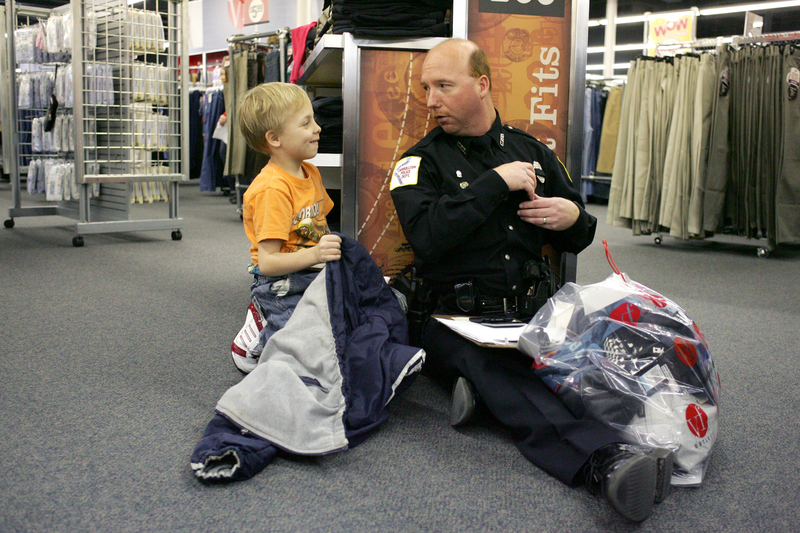 Carrollton Police Officer Tim Gividen and Preston Perry, 7, tally up their purchases at the VF Outlet. 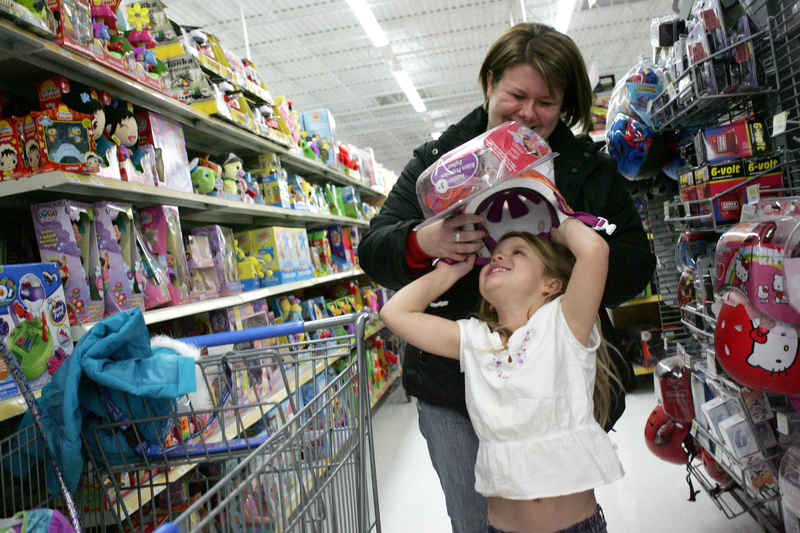 Kala Garrett helps Chloe Melton, 6, try on her new helmet that will go with her new pink bicycle that she picked out at Wal-Mart. 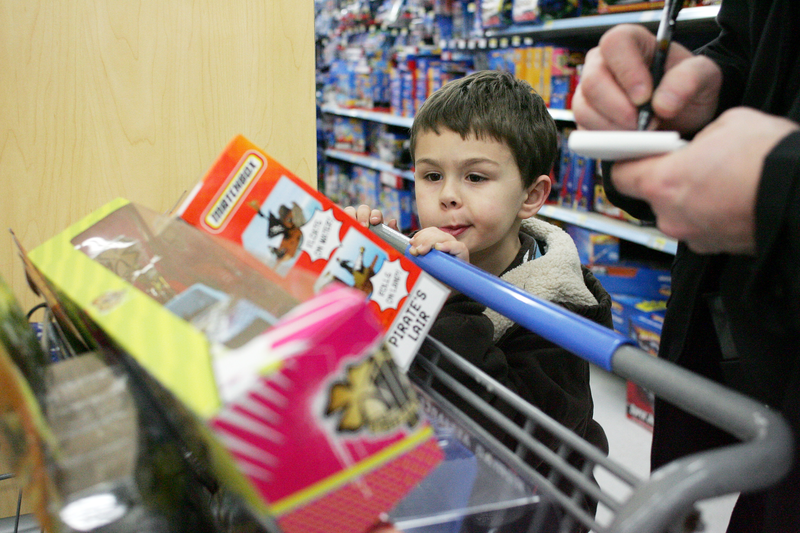 Clayton Brown, 5, eyes his new toys as Assistant Fire Chief Harold “Tinks” Dews calculates their total.